If you are using the EVE Agent for sending automated emails you will be happy to know that you can easily and painlessly invite your guests to review you on ScubaTribe with just a few clicks. Log in to your ScubaTribe panel and navigate to ScubaTribe API and RSS in the Connect menu. Create a new API key with a name of your choice. 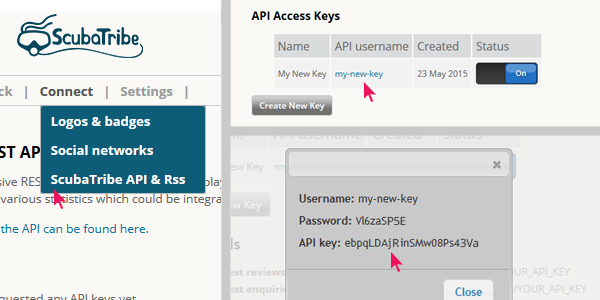 Click on the key name and copy the API key from the popup box. Open your EVE control panel and open Options >> Tools >> Eve Agent. Select View >> Options and open the ScubaTribe tab in the Options dialog box. Enter the API key. 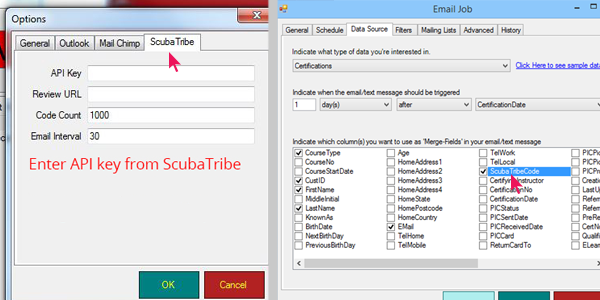 When you set up Email jobs in the agent all you need to do is select the ScubaTribe Code tick box in Data Sources and a one time use review code will be added to all emails for this type. Add a little text to motivate your guests to review you on ScubaTribe. Sit back and listen to all the wonderful words your guests have to share about you. 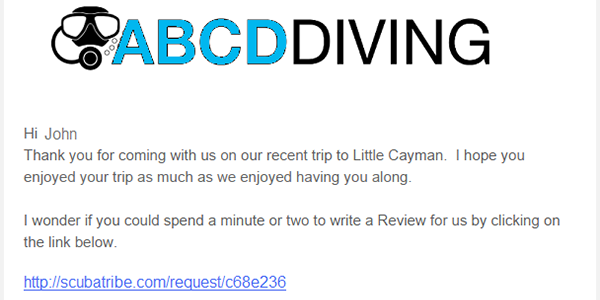 Of course ScubaTribe reviews can be auto posted to social media sites and displayed on your own website to show future guests what a great service you provide.